The story of Loft 21 starts with two Taiwanese women, Carol and Maggie, who were sick of working in other peoples' nightclubs and dreamed about opening a place of their own. The pair knew they wanted their brainchild to be in the Yong-Kang shopping district. Instead of a massive dance club, they aimed to create a comfortable hangout joint. As fate would have it, the two met a pair of gentlemen who worked at an office during the day and ran a cafe in Yong-Kang Park by night. Because their double lives were so stressful, the men wanted to sell the business--it was a perfect fit for Carol and Maggie. 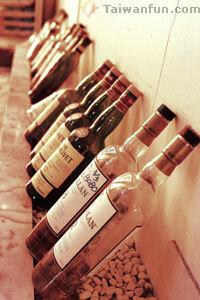 To keep regular patrons coming back, the women decided to keep the bar's original Chinese name. They did, however, re-paint the place with warm colors to make it more inviting and gave it a brand-new English name, Loft 21. The venue is located in a loft and its address number is 21, so the name seemed to fit. Currently, Loft 21 serves beer and cocktails, but there's no food section on the menu. Carol says, "In Yong-Kang shopping district there are hundreds of restaurants for people to choose from. But what's missing in this neighborhood is a place where everyone can come for a drink, relax or simply hang out with their friends after dinner." She explained that's why Loft 21 started and it's also the reason the pub is open all year round. Customers can listen to lounge music while spending quality time with their loved ones in a comfortable environment. 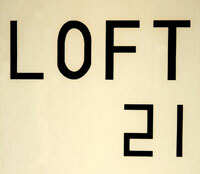 Private parties are often held at Loft 21 as well. With 720 square feet, it is the perfect size for birthday gatherings. On weekdays, NT$15,000 gets you the entire place to yourself with an NT$10,000 drink deduction; on weekends, it's NT$25,000 to rent it with a NT$20,000 drink credit. Aside from foreign tourists, college students, nine-to-five folks who enjoy hanging around the Yong-Kang shopping district, and the neighbors who live around Loft 21 also come in to relax after a long day at work. 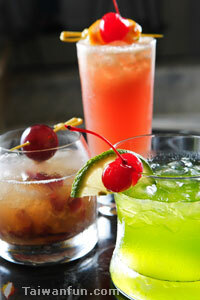 There are two signature cocktails that you must try if you ever hang out at Loft 21, the Macallan Special (NT$300) and Sunny (NT$300). The special, made with aromatic Macallan and seedless grapes, not only won over the hearts of customers but also attracted the attention of liquor company representatives. Sunny is a secret-recipe cocktail that is rumored to seduce you the moment you start drinking it--making it the most popular cocktail here.